This is a guest submission from Pulak Debnath. Fabric is the main component of a garment and it contributes approx 60-70% in garment cost. Hence fabric sourcing is one of the most important aspect for a garment manufacturer. Fabric sourcing is a strategic decision a garment manufacturer should take cautiously before taking garment order. Choosing a good fabric supplier means your half job is done. First step for fabric sourcing is to identify the fabric quality i.e. After analyzing the fabric quality, next step is to identify a supplier who can offer the quality at best price. Though price is the most important parameter for supplier selection, but one should consider the other aspects also like lead time, quality parameters required, supplier's performance in past orders in terms of delivery commitment, quality of fabric delivered, their response to quality issue etc. Before introducing a new supplier, one should closely analyze mill's production capacity, quality system and capability for on-time delivery. So now the question is from where do I source fabric? It depends on fabric quality and sometimes on end buyer. Some buyers want better quality and willing to bear extra cost for that. Some buyers especially who are doing big volume business, give very tight costing target and in that case garment manufacturer has to find out cheapest source. 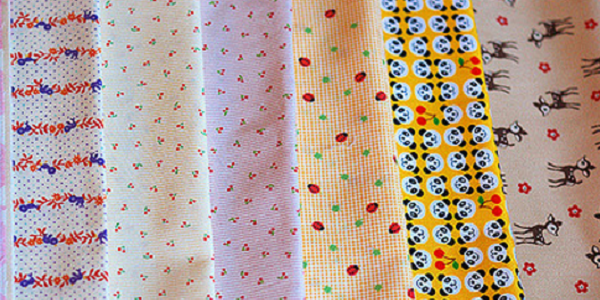 Suppose you are looking for regular quality like 80s voile, 60s cambric, 40s polpin, 30s rayon, Rayon crepe etc. in solid and print then you can purchase from Delhi-NCR region at cheaper rate. For knits fabric, there are some mills like Gupta Exim, Richa, Mercury knits in Delhi-NCR having good capacity for knits fabric. For garment sample development where small volume of fabrics is required, you can source any kind of fabric from fabric showrooms in Delhi-NCR. If you are looking for yarn dyed at cheaper rate, then South sector like Salem, Erode is a good option. For knits fabric sourcing Tirupur is the hub. Similarly for any kind of polyester fabrics Surat is the hub in India. Though there are some mills in Delhi-NCR doing polyester qualities. For hand block printed fabrics, hand crafted textiles Jaipur is a good place for sourcing . Most garment exporter source greige fabric and then get dyed/printed (jobwork) in local mill which give price advantage. When you source from organized mill sector the same quality, then price will be slight higher but quality of fabric will be better. Mills like Arvind, Vardhman, Nahar industries, BVM, Bombay Rayon are big companies in organized mill sector. These mills are located in different parts of India. Like Arvind Mills is located in Ahmedabad,Gujarat and Vardhman in Ludhiana, Punjab. Additional information. There are some qualities like silk, linen, polyester for which China is still given preference over India. Advantages of sourcing from China are better price, higher productivity and better quality. Fabric sourcing is the heart of apparel business. So you should take care of selecting right fabric suppliers for your orders. 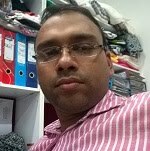 Currently Pulak is working in Orient Craft Ltd as Manager- fabric sourcing. He holds M.Tech from IIT Delhi in textile engineering. He also worked at Shahi Exports and Welspun India Ltd. Follow him in Linkedin. Different places for sourcing different types of fabrics in India.